Share Good Stuffs: Awesome Bike Modification - What an idea...? Awesome Bike Modification - What an idea...? 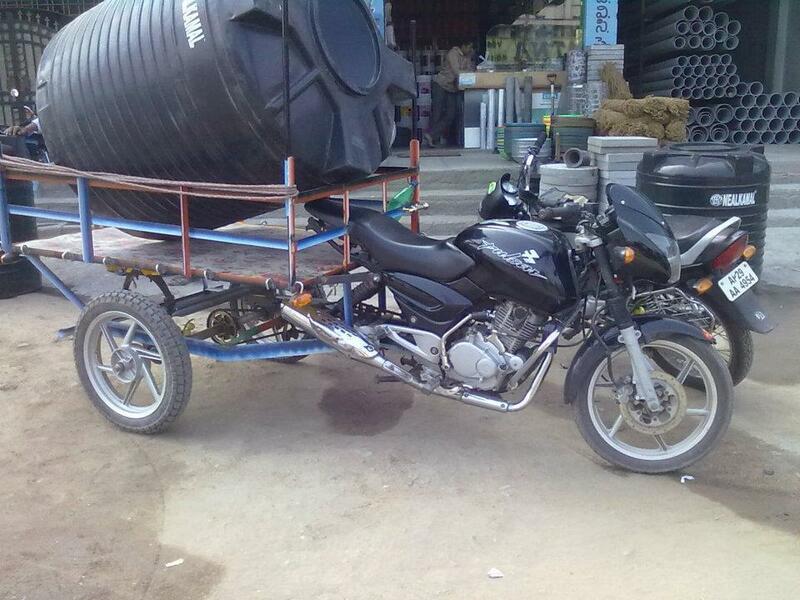 The all new "Pulsar tricyic". Really a cool modification, this bike must be the world's fastest tricycle and the only tricycle in India with an disc brake.